Motorola P30 launched on August 16, 2018, in India. This mobile device has support for bezel-less displays and is very much appreciated for being about 40 times faster in performance than its predecessor. The first thing one notices when staring at the device is the notch, the chin and the bezels which are suggesting that Motorola is doing its best to make it smaller. Find the ‘M’ exactly where you will find the Apple logo on iPhones too. 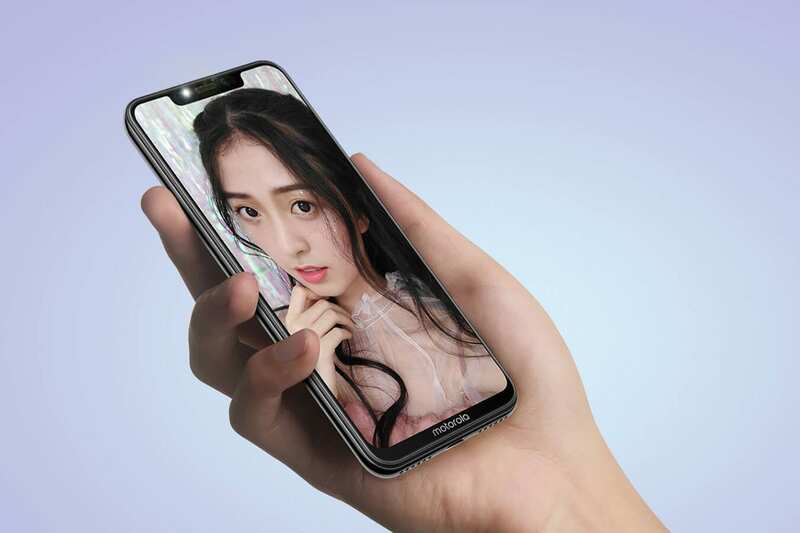 In addition to that, the Motorola P30 shares design similarities with iPhone X, Huawei P20, and Huawei P20 Pro. There’s also a 3.5mm headphone jack port, which is a small divot on the top of the device. Motorola P30 sports a 6.2-inch screen IP LCD touchscreen display, a full HD+ resolution, which is about 15.75m. The resolution is 1080 x 2246. The aspect ratio for the device is 19:9. It measures 155.5 in height, 75.95 in width, and 7.69 in thickness. The total weight of the Motorola P30 is 170 grams. The Motorola P30 comes in Aurora Blue, Black and White colors. The device is obviously splash, and not dust resistant, with a Corning Gorilla Glass 3 and a ZUI 4.0 protection. The camera setup on Motorola P30 is a presence of 16 MP and 5 MP dual primary camera to the rear and a 12 MP front camera which is specially design for good selfies and video recording of 4K and playback capabilities. Both cameras are dual-LED flash equipped. The rear cameras are designed to appear like that of iPhone X phones but add the option of a portrait mode-style background blur effect to shots. It doesn’t add any sort of lossless zoom functionality as you find on iPhone X, though. For the selfie shooter, expect the regular f/2.2 lens and the 1.25mm pixel size, while the primary camera possesses a f/1.8 aperture. The device runs on Android v8.1 Oreo and this is one aspect of making the smartphone operate very fast. Add to that, It’s got Octa-core 1.8 GHz, Quadcore plus 1.6 GHz Quadcore. There is also the Qualcomm Snapdragon 636 chipset, which just about the mid-range level. Adreno 509 GPU is also added as means of making the Motorola P30 operate optimally. There is an option for the smartphone to run on double storage options. One is the 64GB or the 128GB up to that because of the use of a microSD card; both achievable with 6GB RAM each. The technology on Motorola P30 is GSM, CDMA, HSPA, and LTE capacitive. The sensors present on Motorola P30 are practically the same as most other smartphones of its design and performance. Motorola P30 is known for its Wi-Fi 802.11 a/b/g/NAC, a dual-band, Wi-Fi Direct, hotspot, Bluetooth v5.0, USB Type-C 1.0 reversible connector. There is also a connectivity option for A-GPS, GLONASS, BDS, and the device makes use of dual GSM SIM but also accepts Nano SIM. Sensors include fingerprint, proximity, magnetometer, compass, accelerometer, ambient light, and gyro; aspects also common to other modern Android smartphones. Motorola P30 is powered by a non-removable Li-Ion 3000 mAh battery, which able to provide enough power to make the phone work through the day, taking demanding tasks easily. Also get the possibility of charging your phone with 18W fast charging. Yes, if you charge for just 15 minutes, you may be able to use the device for eight hours. The selling price of Motorola P30 is Rs. 21,315.00 ($306).